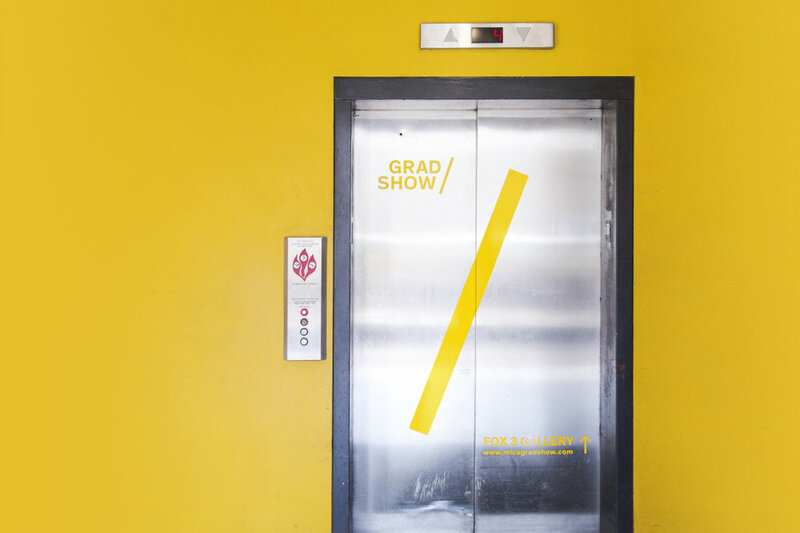 This project showcases the Gradshow branding for Maryland Institute College of Art's graduating batch of 2018. 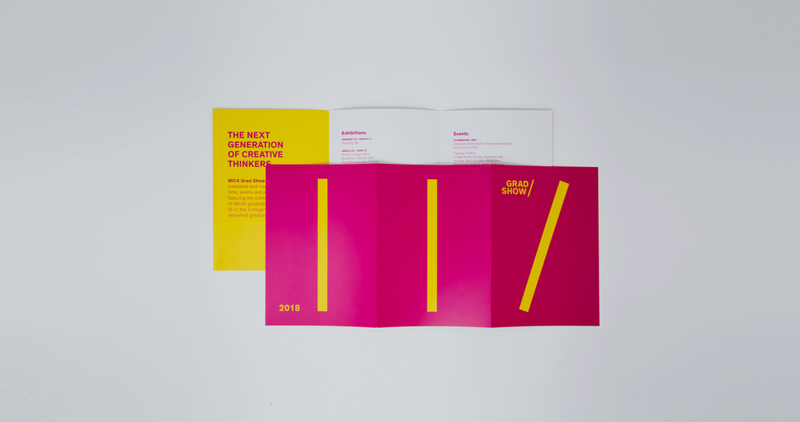 The Gradshow brand elements use the monolithic chunky slash and pop colors reflecting the bold, creative and fresh energy of the work and students. The task at hand was to work with the guidelines of Pentagram's rebranding for MICA and create a language that works for one of the biggest events held at MICA.